Schöenner is a relatively obscure German toy company. 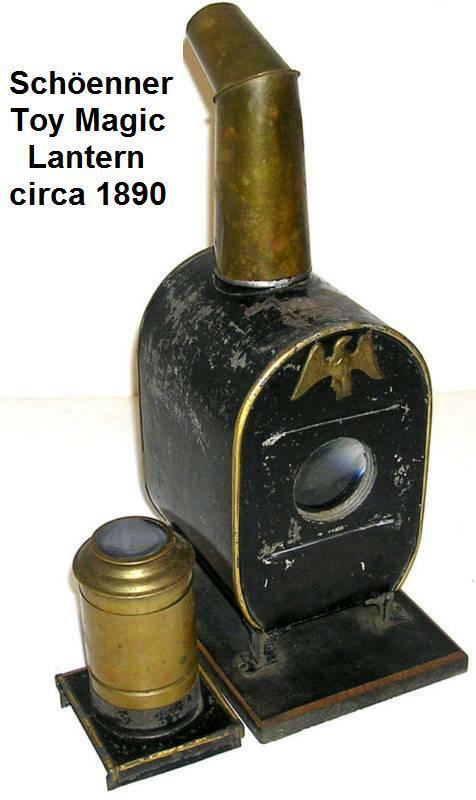 The firm was started by Jean Schöenner in 1875 in Nüremberg, with the production of magic lanterns and steam engines. 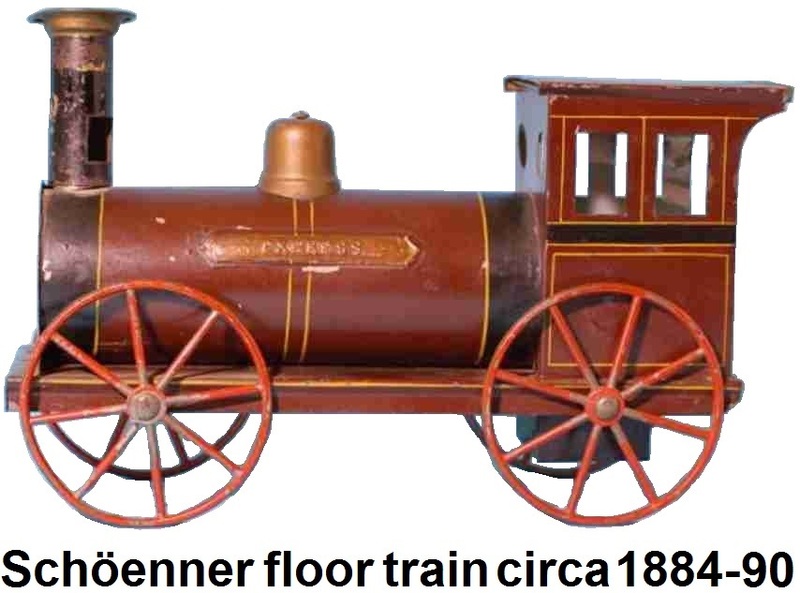 Schöenner also made floor toy versions of trains in multiple gauges from approximately 'O' gauge up to a 29” model. Jean Schöenner started out as an apprentice with the famous electrician, Schuckert, who later joined with Siemens to form the world-wide known firm Siemens-Schuckert-Werke. After having worked on several other jobs, Schöenner started his company with three craftsmen and a glass-painter, (for painting the glass slides of the laternae magicae). 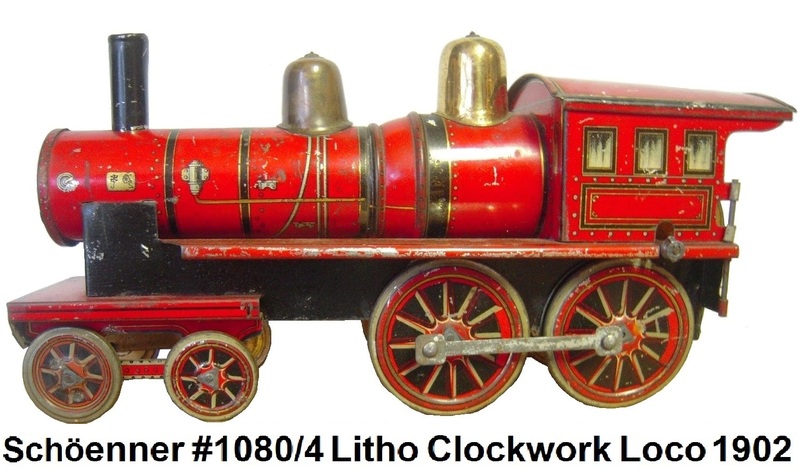 In 1887 the firm marketed their first toy train, a clockwork driven model. All Schöenner clockwork models were fitted with speed governors, which was a mechanism that was not generally found in other manufacturers' clockwork trains until the early 20th century. The finer models were inspired by German prototypes of the epoch and were by far better proportioned than any other make of that era. They were built in 0, 1 and 2 gauges. Early versions had no reversing gear, but this feature was added in 1902. 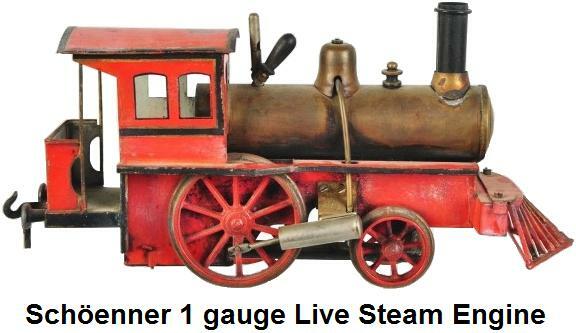 Later in 1887, steam driven spirit fired model trains were also made. The designs evolved over time from crude styles to prototypical models. Details such as nickel sand domes, buffers, headlamps, bells and whistles were added. A forward and reversing gearing mechanism was also developed. 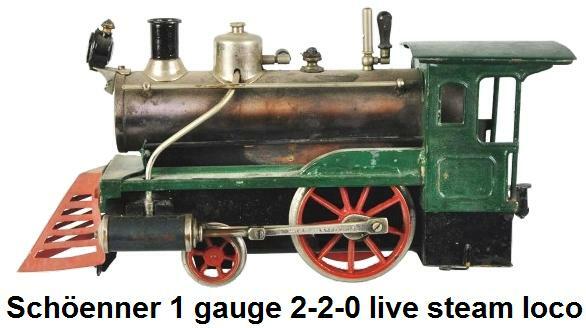 A complete set consisting of a steam-powered locomotive with carriages and track was offered in two gauges: 65 and 115 mm (2.5 inches and 4.5 inches). In 1891 the factory was destroyed by a fire and had to be rebuilt. On January 3, 1899 Jean Schöenner was awarded a German patent for a water level indicator for toy steam boilers (Wasserstandsanzeiger für Spielzeug-Dampfkessel). 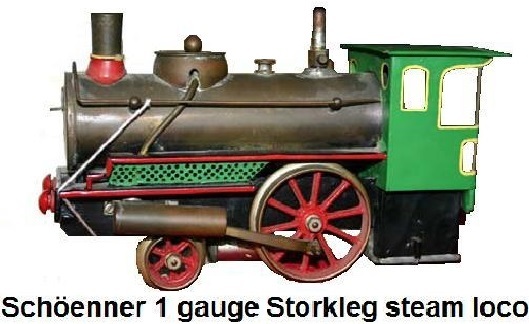 In 1900, Schöenner built the first locomotive modelled after a German prototype in 75mm and 85mm (3 inches and 3.3 inches). Many of the trains Schöenner manufactured were modelled after American prototypes. The 4-4-0 model introduced in 1902 was specially advertised as an "American locomotive", indicating that Schöenner expected to have a big market in the United States. However, the only features which justify this designation were the pilot and bell both also fitted to the 4-wheel engines to be sold in the USA. Otherwise, these "American" models were the same as the standard ones made for the European market. 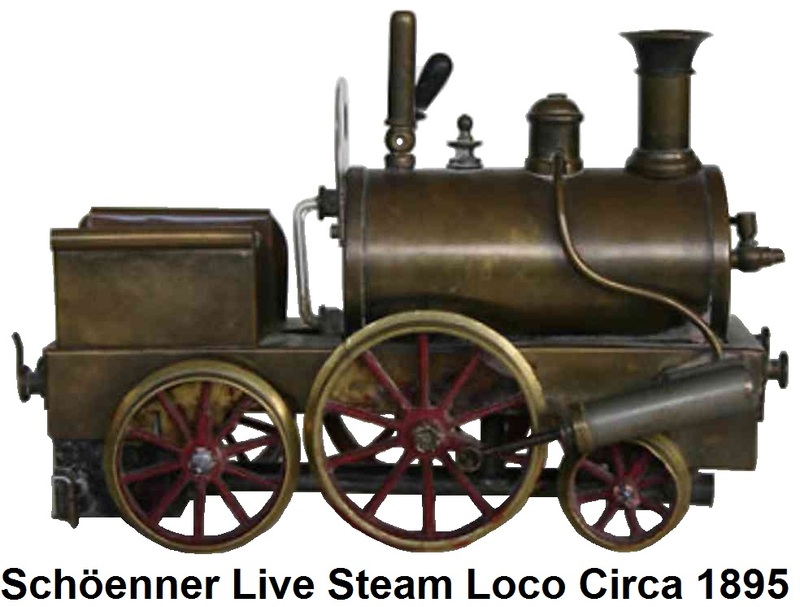 Many of Schöenner's steam locomotives were made with non-swiveling trucks which limited operation to straight tracks only or on the floor without tracks. 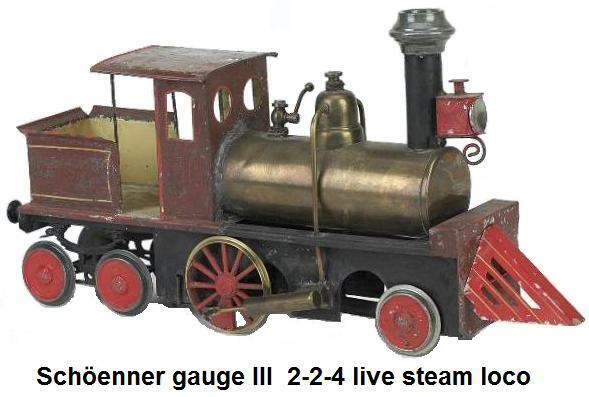 Schöenner built mostly steam toys from 1890 to 1910. In addition to the trains, a selection of boats and fire engines were also made. Toy production reached over 300,000 units by the end of the 19th century. This is a notable achievement for a company with only 250 employees. The firm ended production in 1912. The business was sold to Josef Falk. Prior to this time, Schöenner produced steam engines for Falk as well as those sold under its own name. Falk began as an employee of Georges Carette. He started his own company in 1895. Schöenner was famous for making beautiful trains, but today these toys are very hard to find and expensive. Schöenner trains are often mistakenly identified as being built by other manufacturers of that era such as Georges Carette or Ernst Plank. Owning a train from Schöenner is probably the dream of every collector. Schöenner is certainly a wonderful example of those firms completely forgotten and then re-discovered recently by collectors.